Normal Cement is a high quality general purpose cement supplied in bulk and is suitable for most applications. 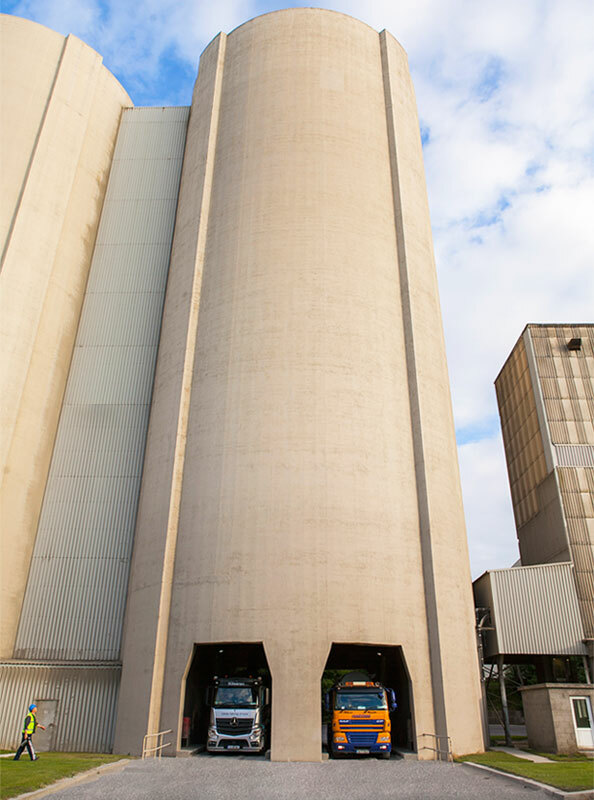 The product has been specifically designed to reduce the carbon intensity of cement production and complies with the specification for Portland-limestone cement in I.S. EN 197-1 ‘Cement Part 1: Composition, Specifications and Conformity Criteria for Common Cements’. The product is independently certified by the National Standards Authority of Ireland and is CE marked. Normal Cement is suitable for a wide range of applications where no special or unusual considerations arise. Typical applications include use in general readymixed and site-mixed concrete, precast and prestressed concrete, masonry, mortars, renders and grouts. Normal Cement is also suitable for use with a wide range of approved additives and admixtures.